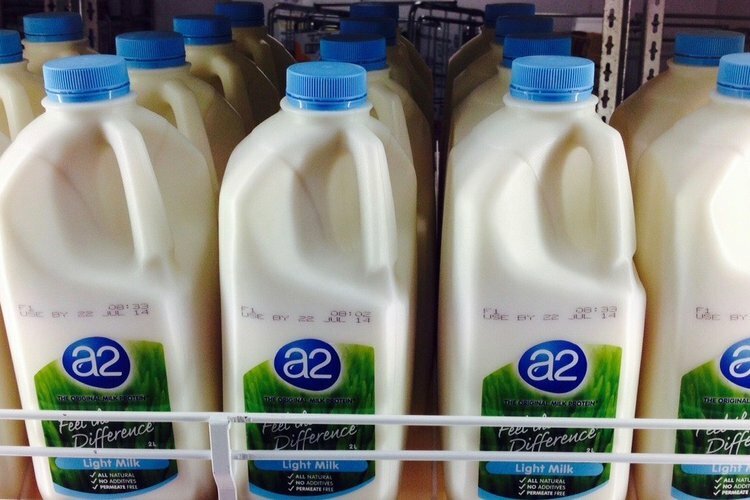 Is It Worth Paying A Higher Price For Organic Milk? Organic milk is obtained from cattle that have been reared on farms practicing organic methods of dairy farming. Organic milk is obtained from cattle that have been reared on farms practicing organic methods of dairy farming. This may include allowing cattle to graze on pastures rather than confining them to enclosures and feeding them modified food products, without the use of hormones or antibiotics to stimulate milk production. Obviously, this change over of dairy practices from conventional methods to organic methods will involve an increase in the price of producing the milk. For instance, since cattle are allowed to graze in pastures, land acquisition might be a problem, and non-usage of hormones or antibiotics to boost milk production may result in slow milk production and low milk productivity. Whether the content of organic milk versus conventionally produced milk differs or remains the same requires analysis. The National Dairy Council states that in terms of quality, safety, and nutrition, there is no discernible difference between organic and regular milk. Individuals appear to not realize that the term organic farming is actually the name given for the type of dairy farming done and is not a name that marks milk as organic due to its content. Both organic and regular milk undergo extremely stringent safety testing measures. Hence, it is safe to assume that both milk types do not have any hormones, antibiotics, or other animal remains. Regarding the specific myth about organic milk having no pesticides or no hormones, studies have explained that all cattle produce a natural hormone that helps in milk production. In conventional dairy farming, farmers choose to improve their cattle's milk production by boosting the natural hormone production. The question then arises as to what chemicals are being added to boost the production. However, due to the stringent testing procedures of the Food and Drug Administration (FDA) and United States Department of Agriculture (USDA), all milk products are thoroughly sterilized and made free of any residues. This goes for pesticide residues in milk as well. Due to FDA and USDA tests, milk produced in the United States has the lowest residue levels among all agricultural products. All these evidences may go against popular opinion that organic milk is better than regular milk. But apart from the benefit of ethical treatment of cattle, there is no scientific evidence to prove that organic milk is more suitable or beneficial compared to regular milk. Both regular and organic milk are of equal standards in safety and nutrition and hence, can be consumed safely. The costlier nature of organic milk does in no way indicate that it is more nutritious or safer than regular milk. In fact, since no economic benefit exists, it is advisable to buy cheaper, regular milk. Hill, H., & Lynchehaun, F. (2002). Organic milk: attitudes and consumption patterns. British Food Journal, 104(7), 526-542. Hughner, R. S., McDonagh, P., Prothero, A., Shultz, C. J., & Stanton, J. (2007). Who are organic food consumers? A compilation and review of why people purchase organic food. Journal of consumer behaviour, 6(2‐3), 94-110. Dimitri, C., & Greene, C. (2000). Recent growth patterns in the US organic foods market. Agriculture information bulletin, 777. Krystallis, A., & Chryssohoidis, G. (2005). Consumers' willingness to pay for organic food: Factors that affect it and variation per organic product type. British Food Journal, 107(5), 320-343. Dimitri, C., & Venezia, K. M. (2007). Retail and consumer aspects of the organic milk market. US Department of Agriculture, Economic Research Service.